Renmatix is a technology licensor that enables the production of petrochemicals from plants. The company’s water-based Plantrose process is the lowest cost method for converting a wide range of non-food biomass into cellulosic sugars, used in the global chemical and fuels markets. At ABLC 2017, Maine’s Born Global Challenge named Core Biofuels, DMC, CRI, D4 Energy Group, Concord Blue, Ark Power Dynamics, NuFuels, Visolis, Phytonix, Renmatix and Sweetwater Energy as the first set of prequalified companies — a second round of companies will be announced after the Statements of Concept and Cooperation have been executed. 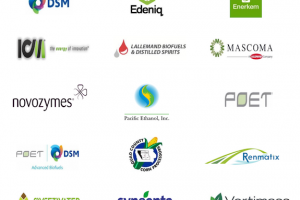 Thrive, survive, jive or take five: Who is weathering the $50 oil storm in biofuels, and how?